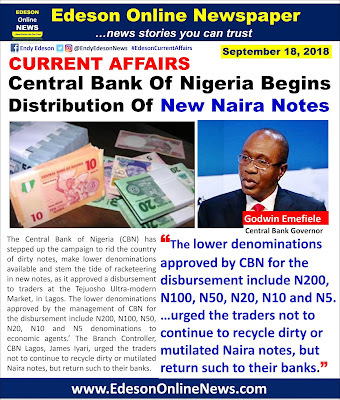 The Central Bank of Nigeria (CBN) has stepped up the campaign to rid the country of dirty notes, make lower denominations available and stem the tide of racketeering in new notes, as it approved a disbursement to traders at the Tejuosho Ultra-modern Market, in Lagos. which would be done through their bank accounts. 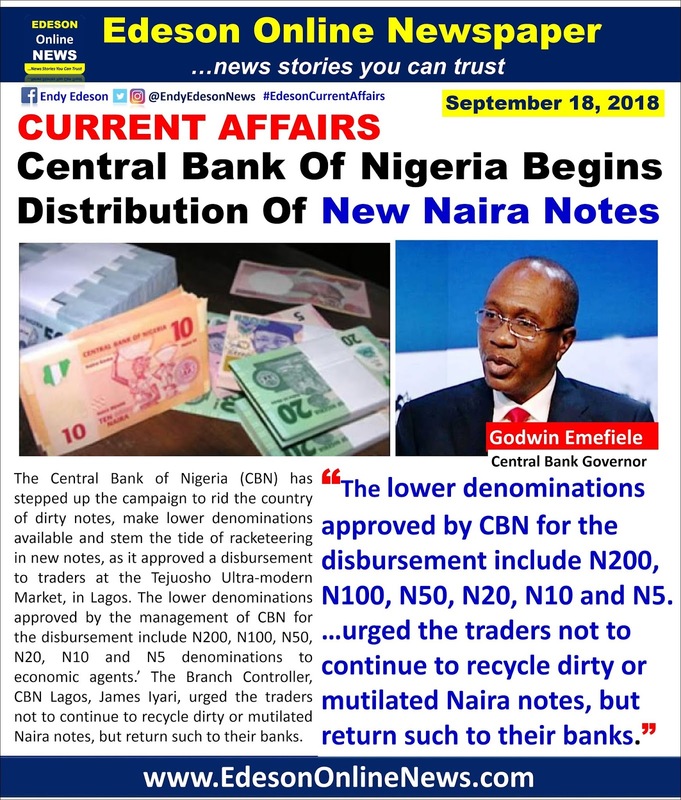 The Branch Controller, CBN Lagos, James Iyari, urged the traders not to continue to recycle dirty or mutilated Naira notes, but return such to their banks. with the way market woman handle the note it won't be long all become dirty again. I pray it work all through the nation. cos currency in kaduna is nothing to write home about.